Temecula Preparatory School – "A Heritage of Virtue and Wisdom"
What is "Virtue Centric" curriculum? Over 90% of students, who apply, are accepted into a College or University of their choice. 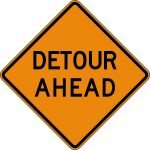 Washington Street, from E Benton Road to Abelia Street, will be closed starting May 13th. TPS Parents – An email with additional details was sent on 3/8. If you have any questions, please contact info@temeculaprep.com or call the school office. Please click on the image below to see the detour map. TPS is committed to students’ safety and well being. STOPit is an online reporting tool designed to deter and mitigate bullying, cyber abuse, and other inappropriate behaviors through an anonymous online platform. NOTE: STOPit submission will be available 24 hours a day, 7 days a week. STOPit is monitored and reviewed during schools hours only, so if you have an emergency please call 911. Click on the icon below to visit the STOPit page. Patriots Ball in progress... thank you for supporting our school!